Attending one of the star ceremonies for the Hollywood Walk of Fame has been on my bucket list since I moved back to California. 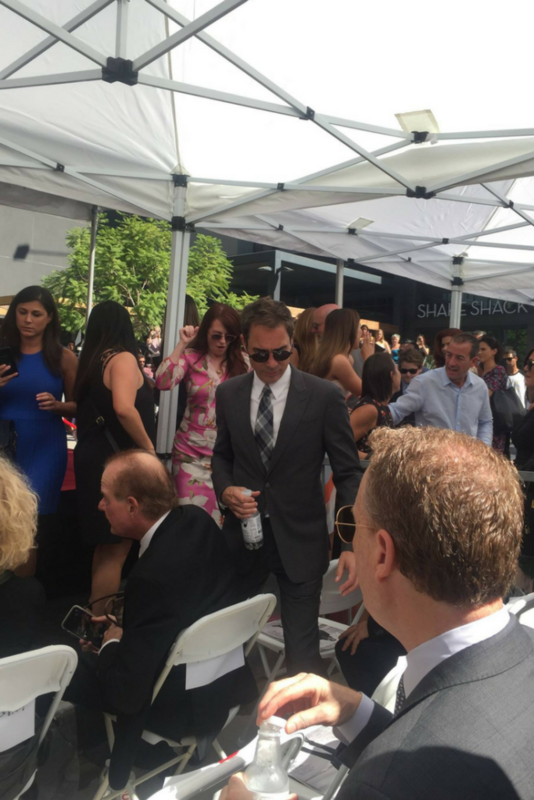 I attended the star ceremony for Debra Messing. There was a Will and Grace cast reunion at her star ceremony with Megan Mullally and Eric McCormack in attendance. The stars on the Walk of Fame are on the sidewalks of Hollywood Blvd and Vine. Famous names are on the stars along with symbols that indicate what category the star was presented in. Star categories are broadcast television, motion pictures, audio recording or music, broadcast radio, or theatre/live performance. Debra Messing’s star is in the television broadcast category. While Debra also acts in movies and theatre she is best known for her work on the television series Will and Grace. Did you know that you can attend a live taping of Will & Grace? Every star ceremony has guest speakers. Max Mutchnick, a co-creator of Will and Grace, spoke about Debra. He shared about casting Debra as Grace Adler for the series and what a joy it has been to work with her. 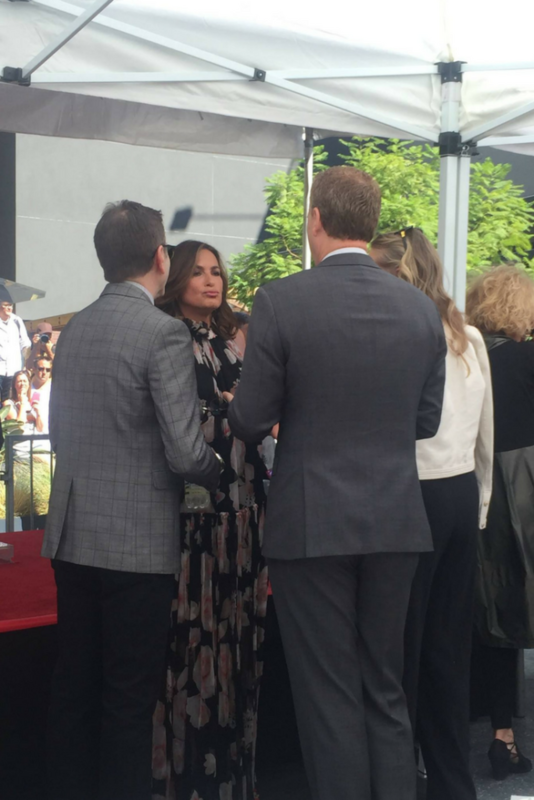 The other speaker was Mariska Hargitay who is a close friend of Debra’s. They met at the Emmy’s several years ago and have been friends since. Mariska was very emotional when she spoke about what a great friend Debra is and how brightly she shines as a person. There was a mini Will and Grace cast reunion with both Megan Mullally and Eric McCormack coming to support Debra. It is always so great to see cast mates supporting each other off screen. After the speakers shared how much they love and admire Debra, it was her turn to speak. Debra grew up on the east coast but visited Hollywood as a young child. She remembers seeing a movie at the TCL Chinese Theatre and seeing the stars on the Walk of Fame. What touched me the most about Debra’s speech was how supportive her mother was of her acting dreams. Almost everyone pursuing a career in Hollywood can relate to having family & friends who think they are crazy for following their dreams. Debra shared several stories that proved that her mother believed in her dream just as much as she did. 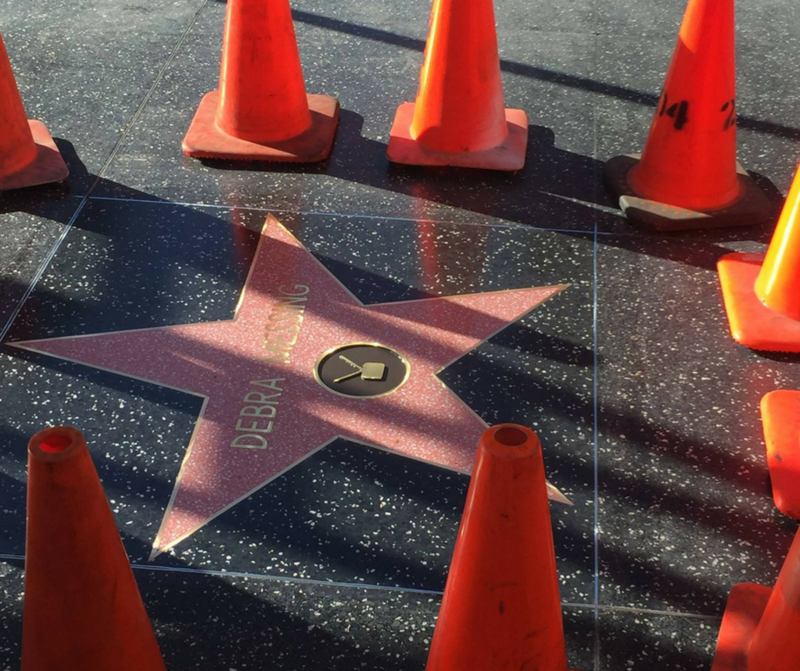 Would you like to attend a Walk of Fame Star Ceremony in the future? The ceremonies are free to attend. However, the viewing area for the fans is limited so be sure to arrive early. My friend and I arrived about five hours early which was unnecessary but since it was our first one to attend we didn’t know what a good time to arrive would be. For a ceremony that starts at 11:30 am I would recommend arriving between 8:30 am and 9 am. Around that time security should start letting fans into the viewing area. Information on who is getting a star and where the location of the star is can be found on the Walk of Fame website.